Shopping is a common aspect shared by all of us whether we belong to mediocre family or elite class; we get to shop for our house to feed ourselves and our family. From basic necessities to the clothes we wear, we carry the stuff not in hands but in shopping bags. Obviously we cannot fetch the huge boxes or things in two hands. For this malls and markets provide us stuff in the shopping bags, with the handles or strings attached to the shopping bags we can carry the goodies with ease and comfort. Polythene shopping bags should not be chosen, they easily get tattered, their handles can also get detached when carry something heavier and our luggage can drop down on road too, even the paper bags are not recommended because the more paper shopping bags are out in the market it would be because of the massive cut down of trees of the forest that are the main elements of providing us greenery, Oxygen, shade in the sunlight and shelter to the birds and animals. 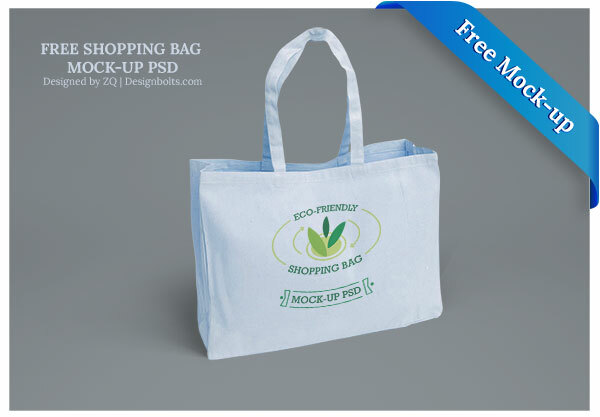 Shopping bags should be eco-friendly, that can be easily disposed and that are not come with hazards & drawbacks. 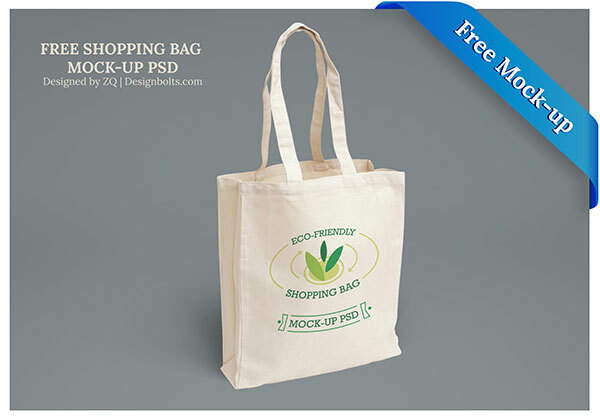 Today I am unfolding free eco-friendly shopping bag mock-up PSD files. People should get themselves aware for the use of such bags and quit on paper and plastic hand carry. Presentation plays a vital role in acceptance and approval of the product. When client demands a graphic designer to make a design element, the designer should act cleverly to put the design in a mock up file so it would be easier for the client to get the idea how the product would actually look in its tangible form & it is a way of impression building. Just insert your own design and there it is done. Keep coming back for more such free PSD’s in future as well. Have a look at the collection!